Do you want to offer your family the ultimate in protection? A concrete bunker is often the right choice. 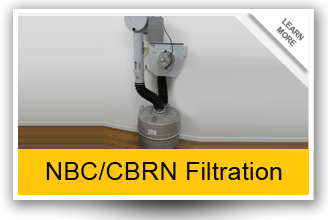 A saferoom or bunker manner protects against a variety of threats.If you are planning new construction the best way to incorporate this into your design is by adding a reinforced bathroom below ground level. 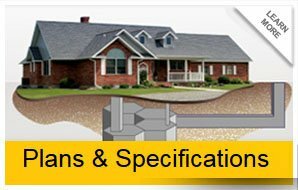 Earth arching and other reinforcement assures that you are protected from explosions, radiation, and of course home intrusion. Traditional frame structures will collapse with only three psi of pressure, meaning your home would likely be destroyed or seriously damaged by any explosion. Bunkers typically are designed to withstand several hundred psi to protect your family in the event of a bomb. If you have a room in your house to go to in the event of an emergency, is it truly safe? It’s important to define what you want when designing this important space.If you are concerned only about avoiding intruders in a burglary or home invasion, a hidden room inside your house may be sufficient. If instead you have concerns about the volatile international climate of today and want to protect your family from military assault, you may want to consider a concrete shelter. A saferoom designed in this way has some special features that add to its security. Carefully designed structures deflect the blast wave from explosions, which protect the people inside from internal damage including burst eardrums. The best of these structures are buried fully underground, although some are partially exposed at ground level. There is also a second concern after a nuclear assault called underpressure, which shelters designed to withstand such an assault will address. And of course, radiation protection must be carefully considered.Selecting a professional you can trust with this important construction task is truly the key to your family’s ultimate safety. Concern regarding radiation is usually addressed by assuring your structure is covered by several inches of earth. Soil is an excellent source of radiation shielding. A Disaster Bunkers professional with good experience will assure your concrete shelter is placed in an area that allows ground water to drain away from your room while allowing full placement underground.A good concrete shelter choice is a trap door design for entry and exit. This minimizes expense and potential exposure to the outside, but may not be possible if you seek to protect family members who cannot easily travel through. 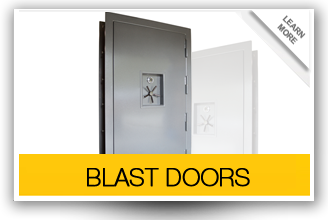 If instead you choose a door at ground level for your concrete bunker, the edge of the door is normally counter sunk into the frame to protect against the possibility of the blast wave lifting the edge. Most utilize dual doors for even more protection.Clearly construction is a complicated manner, meant for skilled professionals like those you will find at Disaster Bunkers. We invite you to browse our site, and then contact us today to discuss all your protection needs.